That happenings in Silicon valley over the years have shaped the global economy is not in doubt. That many cities and regions in the world are trying hard to replicate the silicon valley effect is also a major discourse often contentious. Robert Metcalfe, co-inventor of ethernet and founder of 3COM once said, "Silicon Valley is the only place on earth not trying to figure out how to become Silicon Valley." Many people, industry pundits and scholars alike argue that pursuit of such isomorphism is not the way for nations to build globally competitive innovation ecosystems. This school of thought is agreeable partly as far as the ingredients that nurtured Silicon valley over a century could by now be assembled over a shorter period elsewhere. Even so, looking up to Silicon valley will remain unavoidable for as long as we still have a growing list of world changing enterprises springing out of the Bay Area across the decades. Back home in Africa and Kenya, Konza Technocity is an idea that may have become tired in the minds of industry pundits. I am convinced that establishing a university within the designated space or within 10km radius of the planned city is all that is required for the city to take off. In fact so far I have seen many industry commentators change from antagonism to surprising support of Konza Technocity when the idea of prioritizing a university kicks in to the debate. By establishing a university at Konza Technocity, I don't mean just any university: I mean a university designed and led with obsession for innovation and entrepreneurship. I also mean a university designed with sensitivity to local education dynamics, while at the same time uncompromisingly achieving world class standards of management and research excellence from the onset. Many opponents of Konza Technocity fault its current focus on real estate and infrastructure development as efforts away from the so called "industry priority" for human capacity development. Few weeks back in my article on why Konza Technocity will not be a white elephant, I argued that execution towards long term and mid-term objectives must not be mutually exclusive. In fact the case of fast tracking establishment of a world class university is a near perfect match of seeking medium term objectives concurrently with the long term ones. 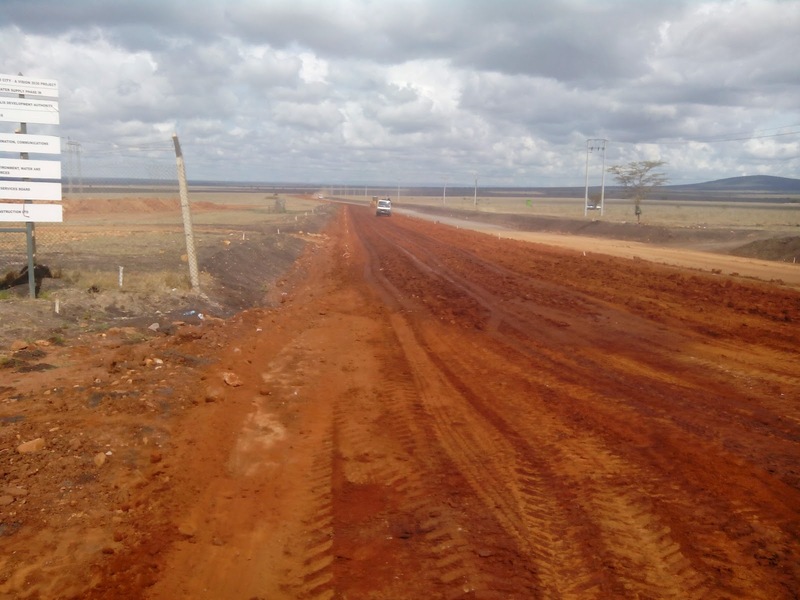 It may not take over a year for fast tracked infrastructural components of a university to come up in Konza. It could take about three years to start graduating world class talent at the university if its structured as a final two year phase of a four year degree program whose first phase is undertaken in existing universities. Perhaps the story of Stanford and the Bay Area is too abstract for someone considering the reality of government projects and global industry dynamics affecting Kenya. The storyline can be approached from first principles. 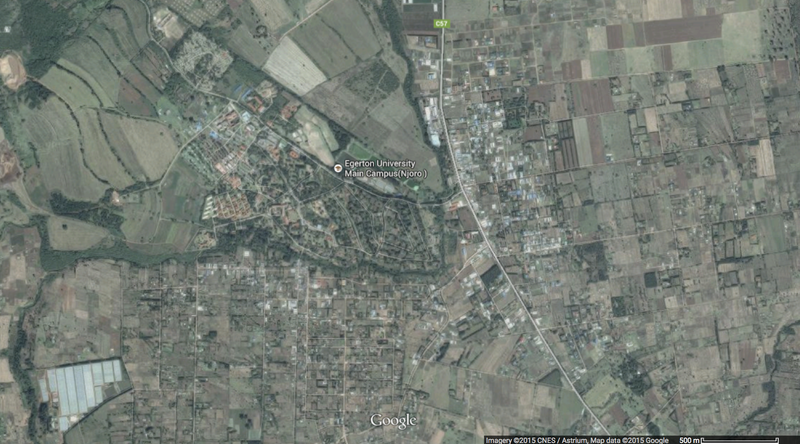 For instance we have seen thriving new University towns in Kenya. From Egerton, to Maseno, to Daystar and other universities, we see independently thriving ecosystems. These ecosystems include players in transport, agricultural supply chain, hostels and real estate providers, entertainment and others meeting the needs of students, faculty and support staff. This is because human capital development does not thrive in a vacuum. The universities even need primary and secondary schools for children of faculty and support staff, as well as health care services. Emergent aspects of such an ecosystem would be the interest of large multinationals such as Google, Microsoft and IBM setting up affiliations with the university and ostensibly building their on-the-ground mechanisms for harnessing the university's talent. Interest in talent and research outputs from the university will also interest local enterprises keen about global scale and competitiveness. More important though is the prospect of university grown startups incubated or accelerated by the university's obsession with innovation and entrepreneurship. Although Stanford University kick started Silicon Valley, it is is not the only significant academic institution shaping the history of technological innovation. Many other top universities have continued to fuel the valley's momentum including other notable names in the Bay Area such as University of California Berkelay. There would be space for other universities in Kenya and the world over to contribute to Konza Technocity's talent pool. Indeed there's space for multiple universities to be physically within the Konza area. The case for Konza attracting global talent in tandem with churning out its own local talent is a matter for another article so I hold my thoughts. One useful improvement from the first Konza masterplan in the second one delivered by the Masterplan Delivery Partners is bringing forward establishment of a university campus from the second of four year phases to the first phase. Granted the Konza Technocity Authority (KOTDA) already has the elaborate master plan, I think it is not too late to tweak parts of the masterplan so as to further further fast track establishment of its first university. I am of the opinion that merely having a university in the first phase of the masterplan is not enough. In fact the university establishment may need to be hived off and expedited ahead of any bureaucracy or slow process for implementing the masterplan. I see several big unanswered questions about actualizing this route for KOTDA and other stakeholders of Konza Technocity. Who would own that urgently needed first university in Konza and how will KOTDA's procurement dynamics play out? How do we ensure that the university is run with the desired obsessive focus on innovation and entrepreneurship? How do we ensure that the university is as a world class institution from the onset - especially considering that University of Nairobi, Kenya's best ranked university at number 855 globally in 2014 may not be considered world class as yet. There are potential answers to these questions. For instance there could be an efficiently administered tender for the world's Ivy league schools to establish a campus at Konza, potentially partnering with local public universities who understand the local terrain. An ivy league university with innovation and entrepreneurship focus such as Stanford could also partner with government institutions such as counties surrounding Konza to co-own and run such a university. I would play down the prospect of a purely private sector driven initiative such as a green field new university regardless of their level of capitalisation. This is because procurement dynamics of KOTDA are such that an intra-governmental procurement conversations could advance faster than arms length transactions.